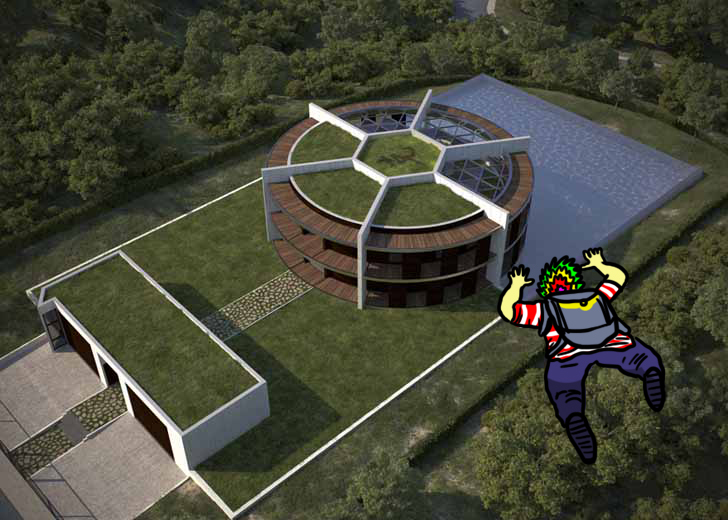 The massive cylindrical dwelling would be topped with a lush green roof and constructed to sustainable specifications. This entry was tagged architecture, Barcelona, design, Furniture Bali, Furniture Indonesia, home, house, interiors, living, MHLLT, Residence, Spain. Bookmark the permalink.